The Texas Education Code permits day school teachers to engage in corporal punishment as a disciplinary measure. According to the Education Code, corporal punishment is defined as “the deliberate infliction of physical pain by hitting, paddling, spanking, slapping, or any other physical force used as a means of discipline”. Texas hence allows teachers to employ corporal punishment to keep order in the classroom. Child abuse of this sort is permitted under Texas legislature, unless a child’s legal guardian writes a yearly note that they do not consent to this discipline. Although a parental note can spare a child from violence in the classroom, this legislation is most unfortunate for children whose parents are too negligent to write a note or who believe corporal punishment appropriately disciplines minors. The use of corporal punishment is deeply-rooted in American culture. This form of discipline had a central role in two notable groups in American history: Puritan colonists in the North East and slaves in the South. However, corporal punishment is highly ineffective and is a serious form of abuse: a practice children should not be subjected to. A school is a safe place for learning— free from any variant of abuse—so that children can flourish in their studies. The inefficiency and extremity of corporal punishment will be dissected through an analysis of the history of corporal punishment in Puritan New England, slave plantations of the Southern United States, and of the movement to move away from corporal punishment in Antebellum America. Corporal punishment in Puritan America was a product of patriarchy and social inequality as it was generally inflicted on children, women and poor men to punish “sin” within the public and private spheres. In particular, the patriarch of the household believed it was necessary to instil Puritan ethic by breaking the will of their offspring. Sin was punished through the loss of a meal, lectures about sin or corporal punishment. Puritan courts also employed corporal punishment, including fines, humiliation and capital punishment—from whipping to imprisonment. These sentences could be enforced on those guilty of violence, deceit, disorderly conduct or sexual misconduct. In contrast, slaves on plantations in the South were subject to corporal punishment in order to be compelled to submit, rather than to atone. Overseers habitually employed cruel methods of punishment including flogging, confinement in stocks or small jails, amputation of limbs, and hanging. Indeed, masters did not discriminate: women and children were not exempt from brutal punishment. Movements against corporal punishment in schools emerged mid-nineteenth century, in tandem with abolitionist rhetoric. Most vocally, Horace Mann opposed Puritan disciplinary practices as he believed children who were subject to corporal punishment would obey out of fear as opposed to genuine belief. Additionally, John Griscom asserted that inflicting corporal punishment on children would cultivate anger towards the religious establishment. The broader populace during the antebellum period also mobilized against corporal punishment. As evidenced in The Evil Tendencies of Corporal Punishment of Lyman Cobb, it was believed that corporal punishment led to the suffering of children and to boys becoming aggressive men. Academies fought the use of corporal punishment as a way of discipline in other ways as well. One of these ways was the addition of psychology textbooks to the schools’ curriculums. 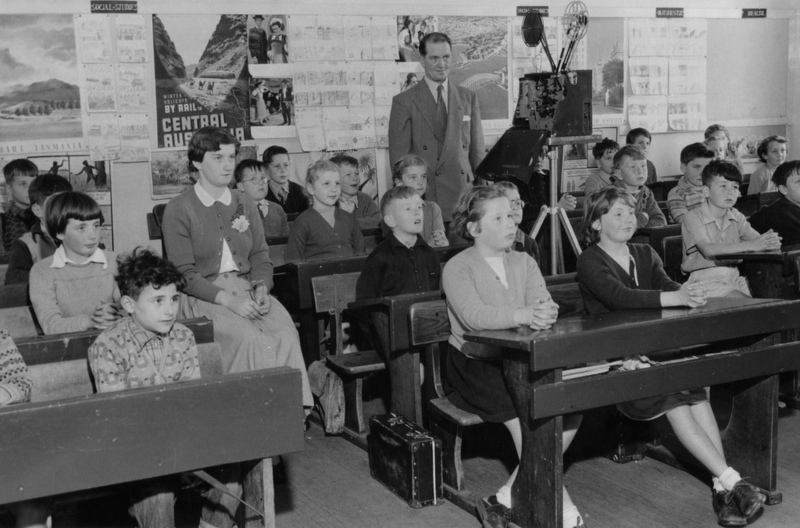 Opposition to corporal punishment reflected what was being learned in Academy classrooms at the time. Academies in the 1830s and 1840s started giving psychology classes (given under the name of mental and moral science class). Many students read textbooks that spoke of natural realism and learned the teachings of Thomas Upham, a mental philosopher, who believed that teachers should not discipline students with corporal punishment because it would hinder their training of the moral sentiments. All in all, the rise of anti-corporal punishment sentiment in Antebellum America was a definite step in the right direction. Alternative types of discipline such as emulation were much better and safer than corporal punishment. The use of corporal punishment in Texas day schools is unacceptable. Abuse on the part of educators is not conducive to learning nor does it sufficiently correct children’s misbehaviour. [footnote] “Education Code” (Texas Constitution and Statutes, Texas, 2013). Jason Opal, “The Captivity of Eunice Williams: English and Native Families in War and Peace, ca. 1700” (lecture, American Family History, Montreal, Qc, January 12, 2015). Paul Farnsworth, “Brutality or Benevolence in Plantation Archaeology,” International Journal of Historical Archaeology 4, no. 2 (2000): 146, http://www.jstor.org/stable/20852948. James P. Jewett, “The Fight against Corporal Punishment in American Schools,” History of Education Journal 4, no. 1 (1952): 2, http://www.jstor.org/stable/3659266.